Home / Health / Euglena Mainichi Midorin, first in Malaysia! Euglena Mainichi Midorin, first in Malaysia! A Euglena is a protist that can both eat food as animals by heterotrophy; and can photosynthesize, like plants, by autotrophy. Euglena can survive in fresh and salt water. 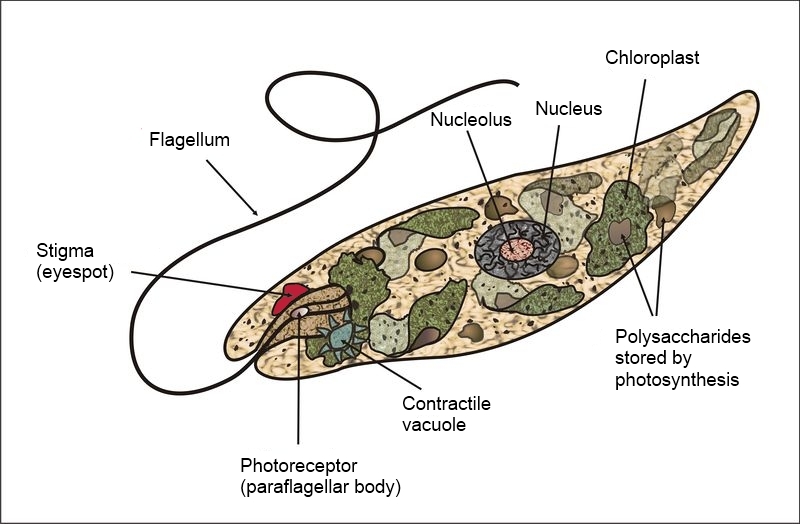 In low moisture conditions, a Euglena forms a protective wall around itself and lies dormant as a spore until environmental conditions improve. Euglena can also survive in the dark by storing paramylon granules in pyernoid bodies within the chloroplast. Euglena is rich in nutrients and contains paramylon. Currently there is one Euglena product already in the market. The product contains Euglena, royal jelly, condroitin, and brewers yeast. The product is advertised as a dietary supplement, an antioxidant, and as a colon cleanser. Researchers are now looking into other possible uses of Euglena such as the application of the protists' paramylon as cosmetics, biodegradable film, and pharmaceuticals. Starting in 2005, Tokyo-based Euglena Company has started marketing Euglena-based food and beverage products, based on their provision of both plant- and animal-based nutrients. While the fitness of euglena for human consumption had long been surmised, Euglena Co. was the first to develop a technique to cultivate and farm the microorganism in large enough quantities to be commercially viable. The company's main production facility is located on Ishigaki Island, Okinawa, due to favorable climate conditions. Euglena Company is also experimenting with the use of Euglena as a potential fuel source.